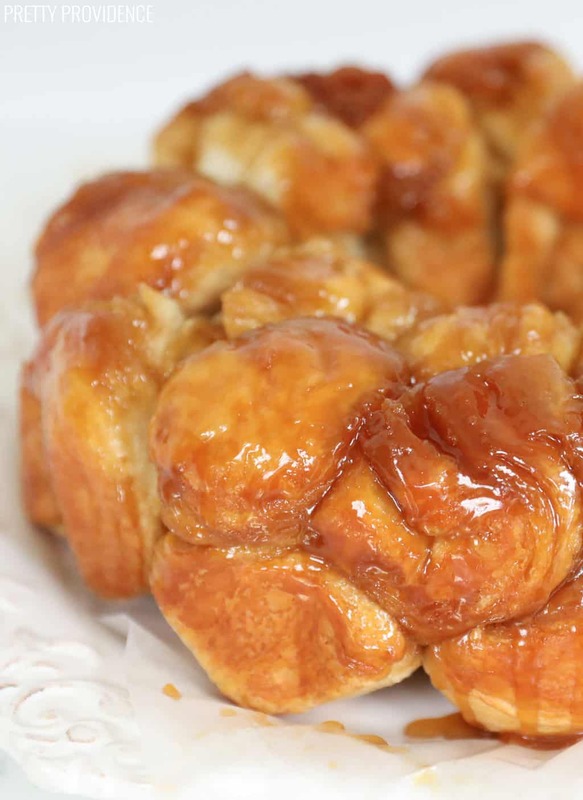 Monkey Bread - 5 Ingredients! Oh my goodness do I have a treat for you today. Literally, a treat. 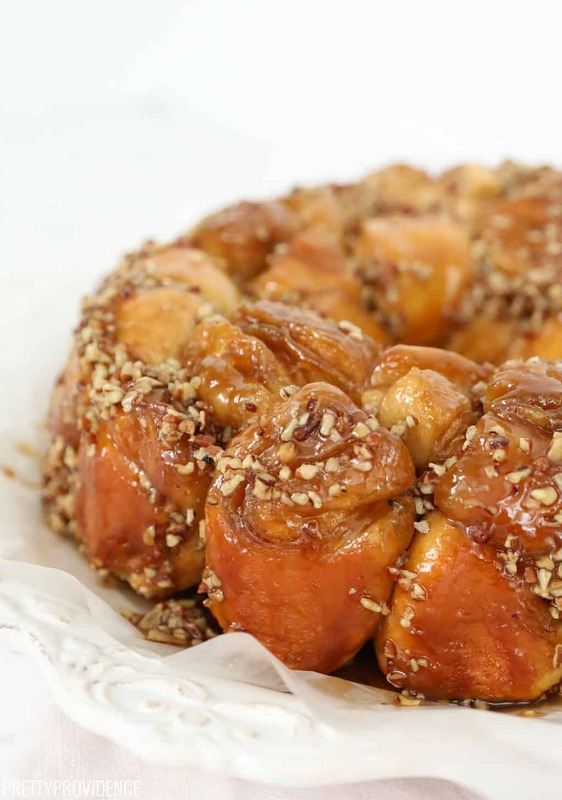 Have you ever had monkey bread? I tried it for the first time a few thanksgivings ago and now it is our go-to for a special occasion breakfast. 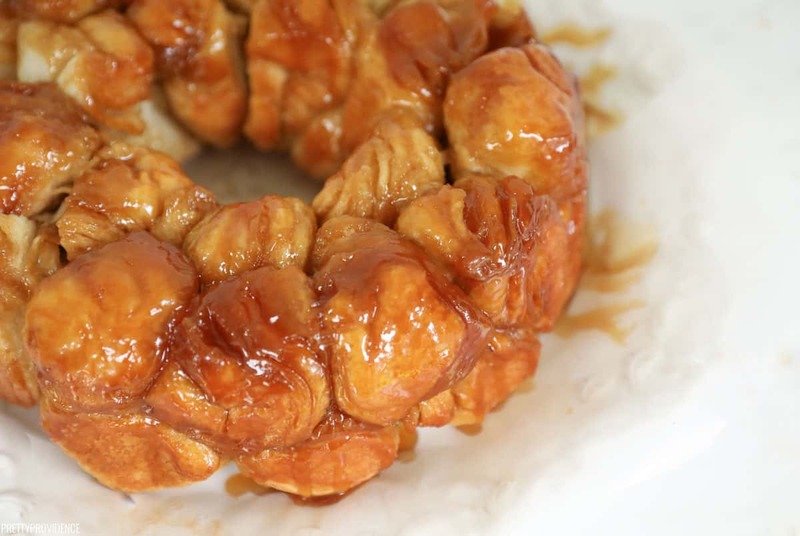 This monkey bread recipe is also so easy and only requires 5 ingredients! It’s the best! Let’s just get right down to the good stuff. The five simple ingredients are: canned homestyle biscuits (but not the flaky kind! just regular homestyle biscuits) sugar, brown sugar, butter and cinnamon. Let’s just get it out of the way. This bread is not low-cal. Absolutely not. It’s an indulgence! You’ll also need a bundt pan to cook this in! Doesn’t it look amazing? Let’s all just take a minute to admire the gooey goodness. I know there are a bunch of different names for this. My sister-in-law calls it coffee caramel ring. Do you know another name for it? Whatever you call it, it’s delicious and you should put it on the menu for your next special occasion! Love, love this holiday breakfast treat! I prefer to skip the cinnamon and add chopped pecans into the bundt pan and caramel sauce for a little texture.My whole family enjoys this one! Ooooh! That sounds so yummy! Thanks for the tip Pamela!